A friend asked me recently why emotional stress has such a strong effect on one’s physical well-being. Break ups tend to bring on intense stomach pains and dramatic weight loss. Many therapists would argue that any emotional distress has a profound impact on one’s personal well-being. How well you sleep, perform at work, socialize, exercise etc are all intimately tied to your emotional health. Thus, comfort foods; the only things we can eat when we can’t eat anything. When I was little, my mother used to threaten us kids with jail time. Seriously – jail time. This was before the invention of the ‘time out’. We were told that we would be sent to jail where they only served bread and water. I thought; ‘Whatever Mom! I WANT to go to jail because bread is my favorite food!” It still is. Whenever I’m sick or sad, I crave bread – generally toasted and then slathered in butter. (When on the distress diet, I’m not worried about caloric intake). From the moment I can smell it heating – It starts to make me feel better. Anything except that…he looked a little thin. So, I got to thinking how I could help and thought I might send him some Banana Bread. 1. Preheat the oven to 350 degrees and lightly grease a 9×5 in loaf pan. You should really have a pretty colored one – I think bright colors can also help in treating a broken heart. 2. In a large bowl, combine 2 cups of flour, 1 tsp baking soda an 1/4 tsp of salt. 3. In a second bowl, combine 1/2 cup of softened butter with 3/4 cup of brown sugar. I like to use the darker, but either is fine. 4. Gently beat two eggs and stir into the butter/sugar mixture. Add 1 tsp of vanilla. Add 2 – 2 1/2 cups of mashed over ripe bananas. 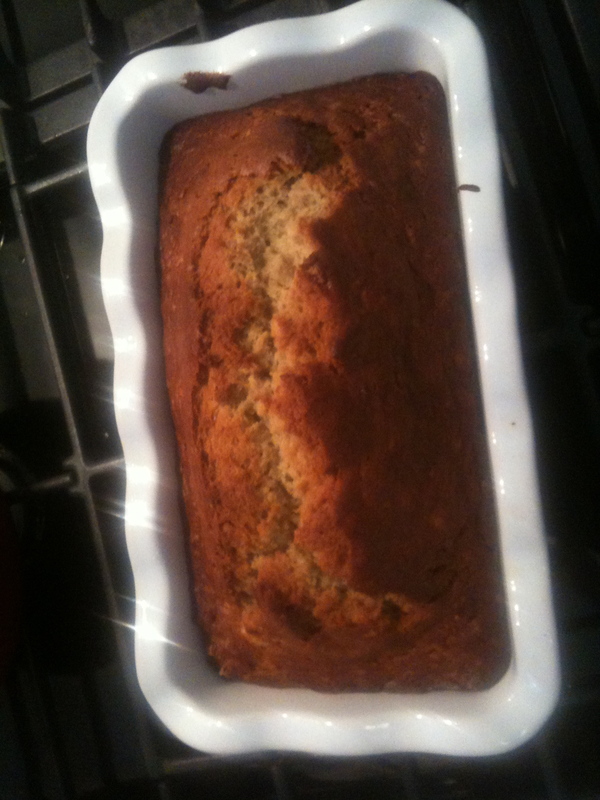 Whenever I have an aging banana, I peel it and put it in the freezer and defrost when I’m ready to make banana bread. 6. Pour the mixture into your pretty colored loaf pan and bake for 60-65 minutes. I don’t know Robert Pattinson personally but we’ve all been through a break up or two and I felt for him over the past weeks. 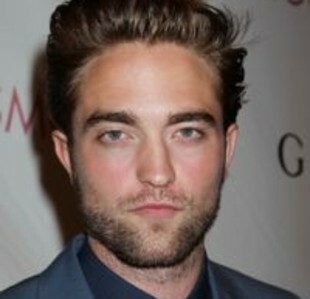 And, I’m not a Twi-hard, but thought (besides the weight) he looked pretty good. I do hope he’s OK and getting through it. I’d like to see him eat more. Now, if I just knew where he was staying so that I could deliver the bread….and reassure him that this too shall pass and there will, no doubt, be a New Moon.